Lush vegetation, mountainous terrain, impressive hidden waterfalls and archaeology of tremendous cultural significance hidden amid the undergrowth – Chachapoyas is truly ‘Indiana Jones’ territory. 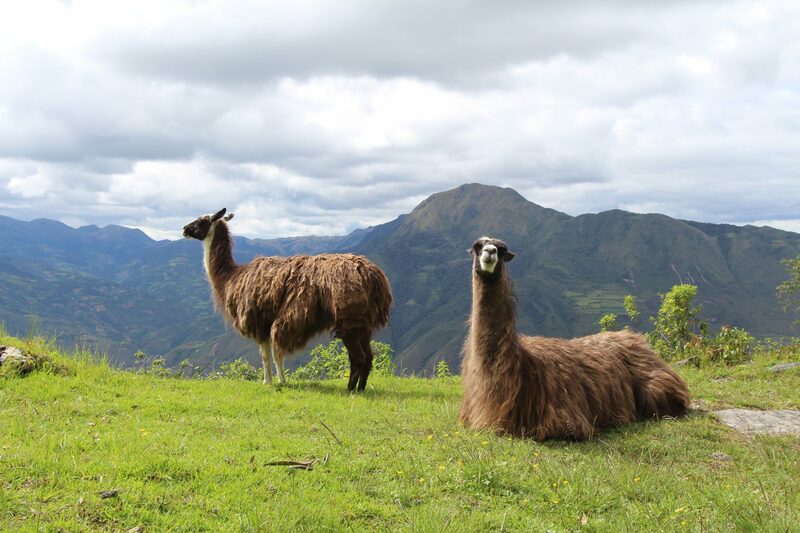 A junction of the Amazon Rainforest, the Andes mountain range and the coast, Chachapoyas sits off-the-beaten path. 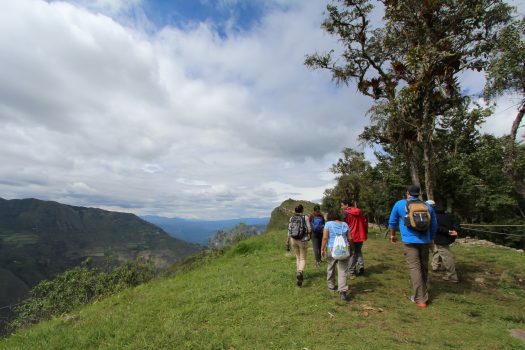 Flying in and out of Jaen or Chachapoyas airport, the rest of the journey will be overland, accompanied by an expert and knowledgeable guide, exploring the wild, unspoiled landscapes and highlights of the region. 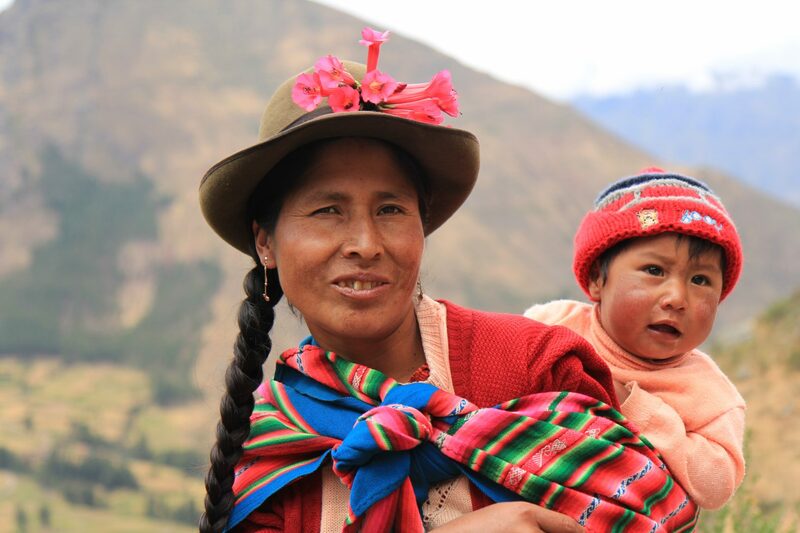 Discover for yourself Peru’s Best Kept Secret. 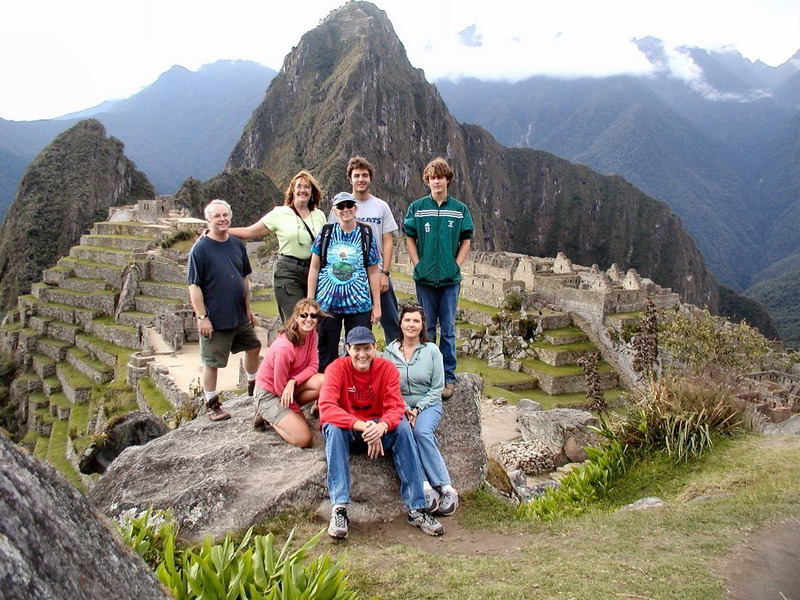 Day 1 Lima – Leymebamba Fly Lima to Jaen. Scenic road journey from Jaen to Leymebamba. Overnight Kentitambo. 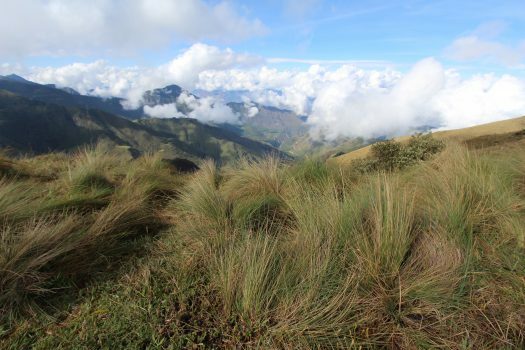 Day 2 Leymebamba Walk through the cloud forest to the cliff tombs of Revash. Visit to Leymebamba Museum, home to over 200 mummies. Overnight Kentitambo. 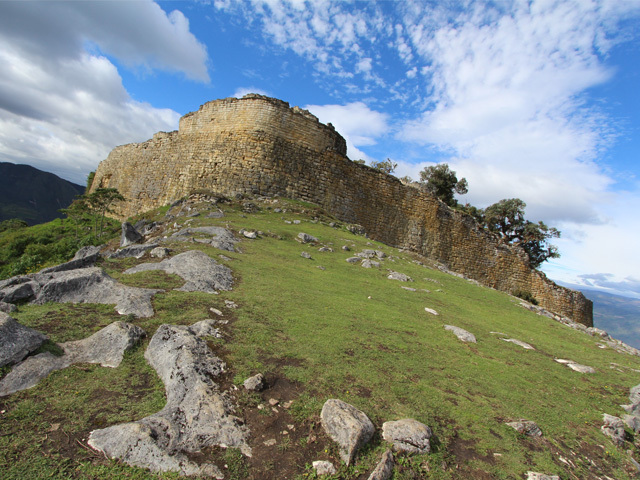 Day 3 Kuelap Take in Kuelap pre-Inca ruins, the largest ancient stone structure in South America. Overnight Gocta Natura Cabins. 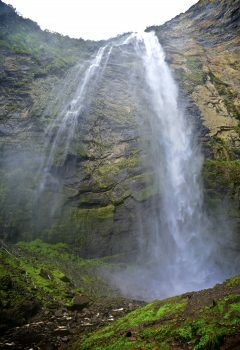 Day 4 Gocta Hike to Gocta waterfall. Overnight Gocta Natura Cabins. Day 5 Chachapoyas – Lima Overland scenic transfer to Jaen. 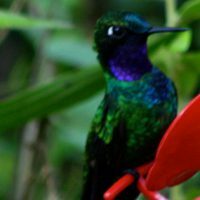 Fly Jaen to Lima for onward travel. Fly from Lima to Jaen in Northern Peru. An Aracari representative will greet you on arrival and accompany you on the scenic five hour road journey to Leymebamba. 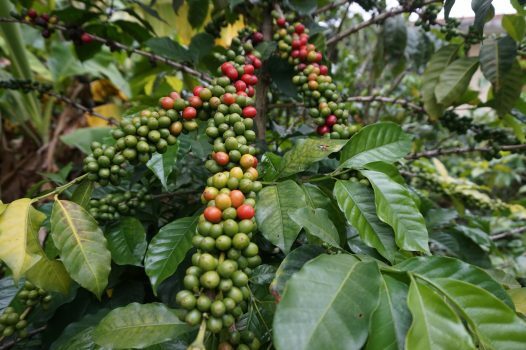 You‟ll notice the surroundings change from fertile agricultural valleys with rice paddies and coconut groves to steep mountain ravines as you climb higher. 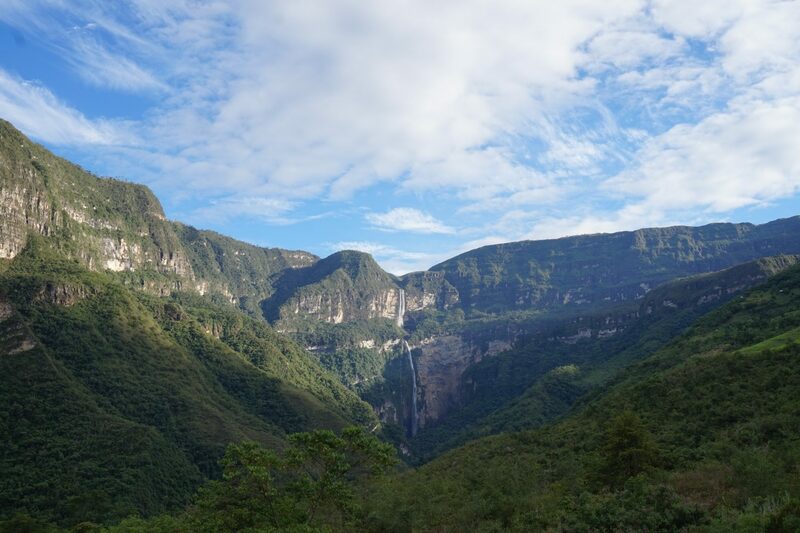 The route follows the Marañón River briefly and then the Utcubamba River for most of the journey. 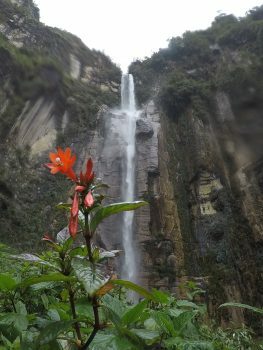 Stop along the way to take photos of the scenery such as a small waterfall and hidden pre-Inca tombs in the cliffside. 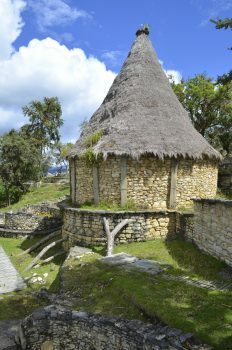 There are also limited seasonal flights to Chachapoyas from Lima, as an alternative to flying to Jaen. 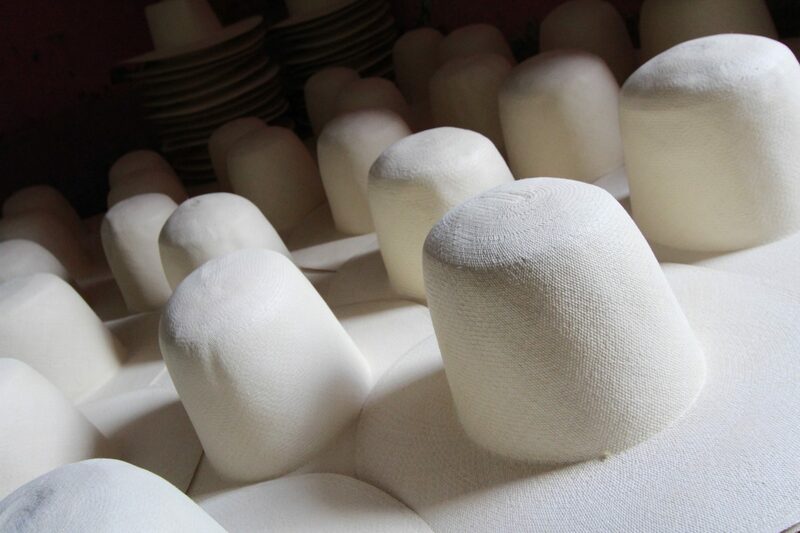 Today you will visit the tombs of Revash. 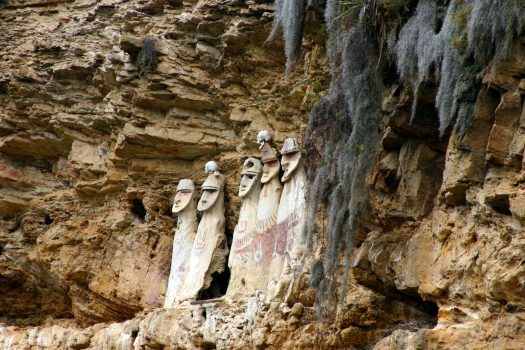 High on the hills of Peru's northern cloud forest, this collection of tombs from the Chachapoya civilization sit on the edge of a limestone cliff. 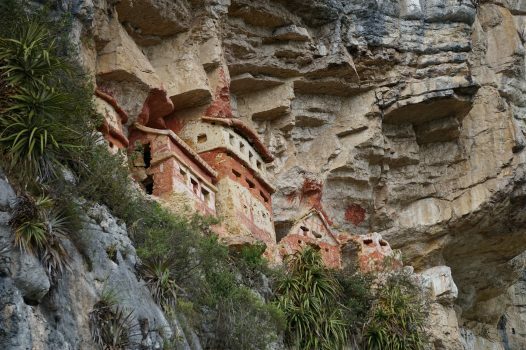 Built from mud-set stones, they resemble houses and are painted in red and white hues, collectively forming miniature villages along the face of the cliff. 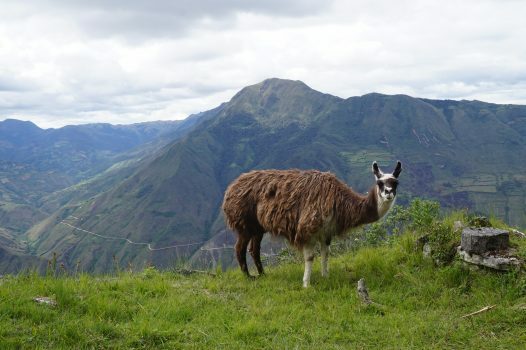 Accessible via a pleasant walk through the scenic countryside, your expert guide will lead you on this interesting excursion into Peru's past. 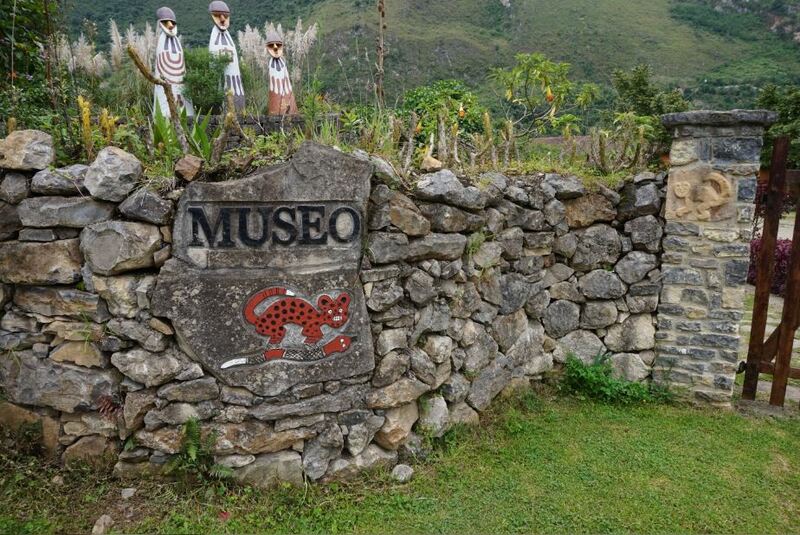 This afternoon head to the Leymebamba Museum. 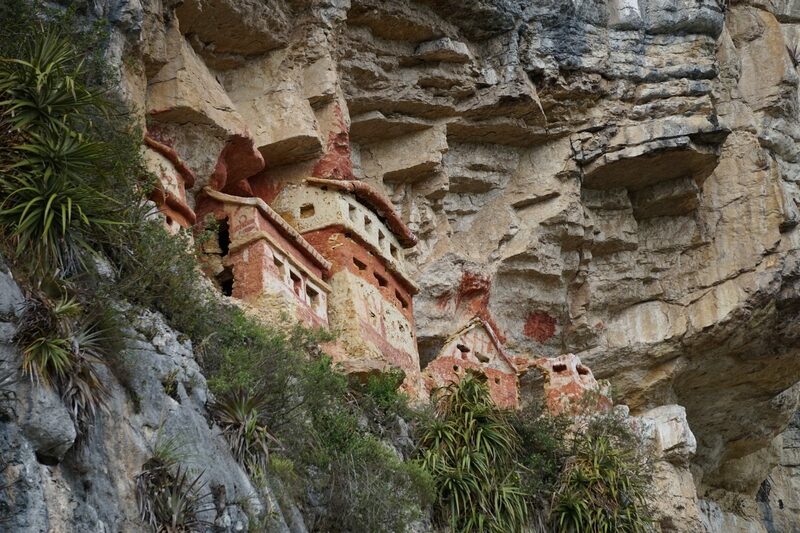 Home to 200+ mummies, important burial gifts and other artefacts, the purpose-built Leymebamba Museum is a tribute to the discovery of burial tombs and mummies on a remote cliff above a lake - Laguna de los Cóndores – in 1997. Built by the pre-Inca Chachapoya civilization, this was a sacred place to honor the dead. 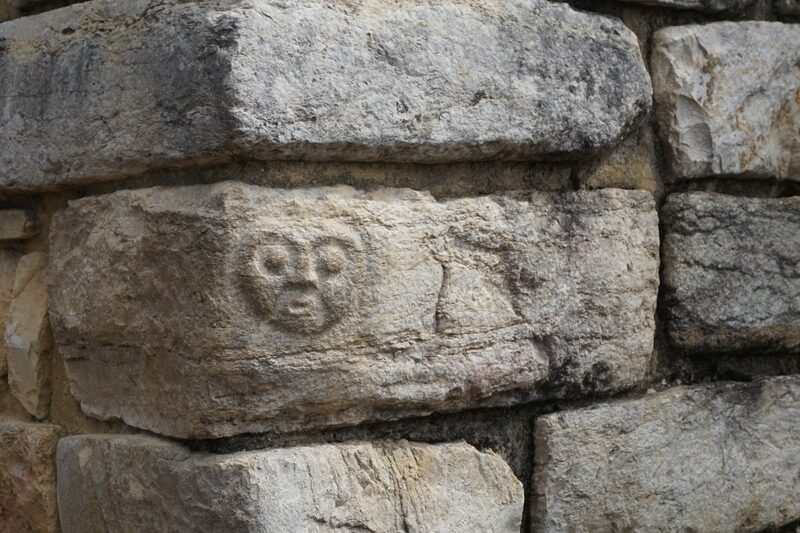 Slashed open by looters looking for sellable treasure, the NGO Centro Mallqui embarked on an emergency salvage mission, removing the contents of the tombs and taking them to a lab in Leymebamba for urgent conservation work. The findings were so special that they merited the creation of their own museum. Enjoy a behind-the-scenes exclusive access visit to the Museum with entry to the temperature-controlled room which stores these fascinating mummies, as well as the chance to watch archaeologists at work. 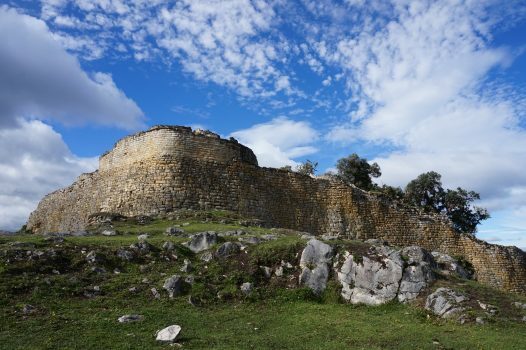 Enjoy a full-day tour of the ‘Machu Picchu of the north’ known as Kuelap. Built by the pre-Inca Chachapoya civilization, known as the "warriors of the clouds", Kuelap is one of the biggest ancient stone complexes in the western hemisphere. 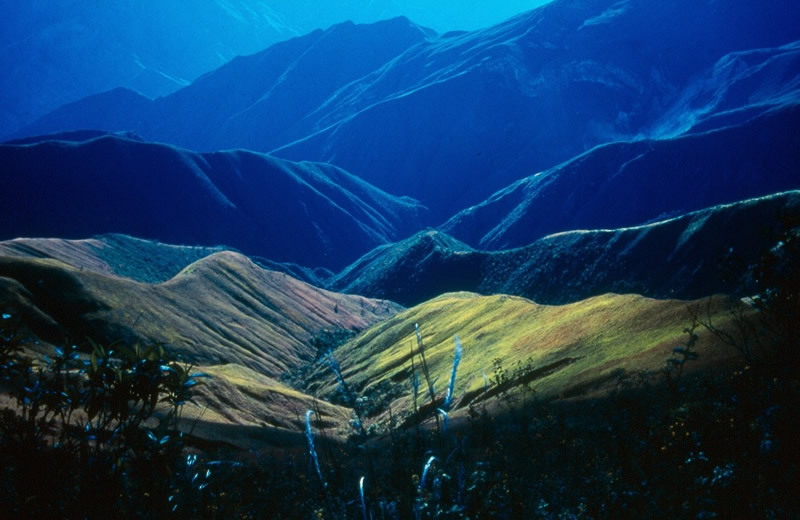 Built at 3,000m above sea level, on a ridge overlooking the Utcubamba Valley in northern Peru, the imposing site is over 600 meters in length. Drive to Kuelap where you will ride a cable car to the ruins. Walk approximately 30 minutes to the summit of the archaeological site via a paved uphill path, or optionally hire a horse for this distance. Explore the impressive site with your expert private guide, discussing the history and significance of the fortified city, and taking in the panoramic views of the Chachapoyas cloud forest in the valleys below. 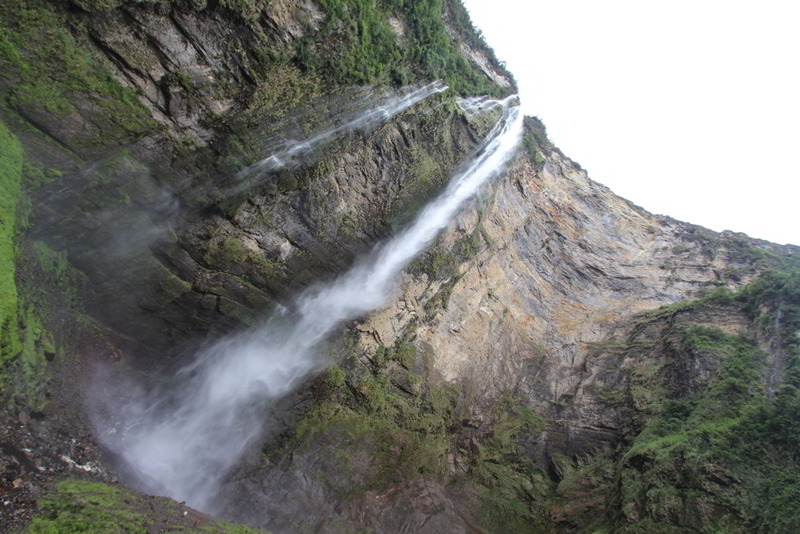 Your adventure today will be a hike to one of the highest waterfalls in the world - Gocta. Setting off directly from your hotel in Cocachimba with your private guide, the path to the waterfall is well maintained and provides a stable and scenic journey. 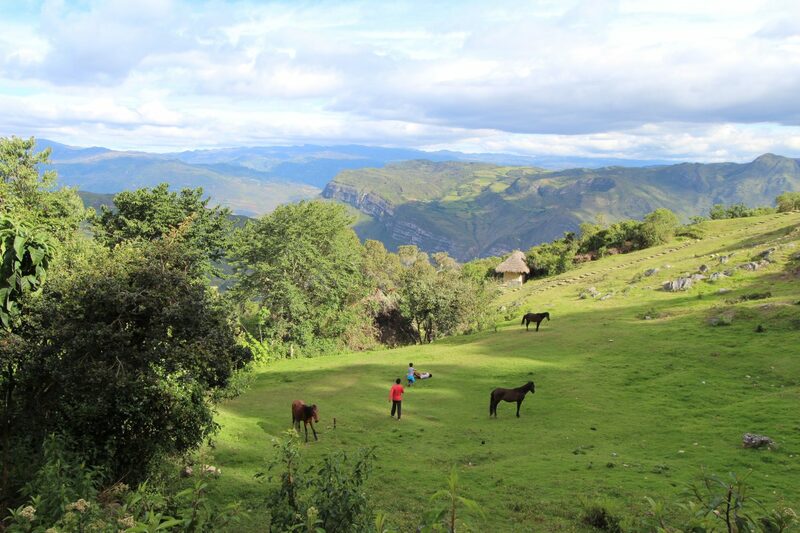 Some sections have steep inclines, and horses can be hired for part of the journey to the falls or can be pre-arranged for the way back if you’ve had enough walking by then. The walk starts through farmland where sugarcane and other crops are grown, before changing to lush cloud forest with jungle-like vegetation. 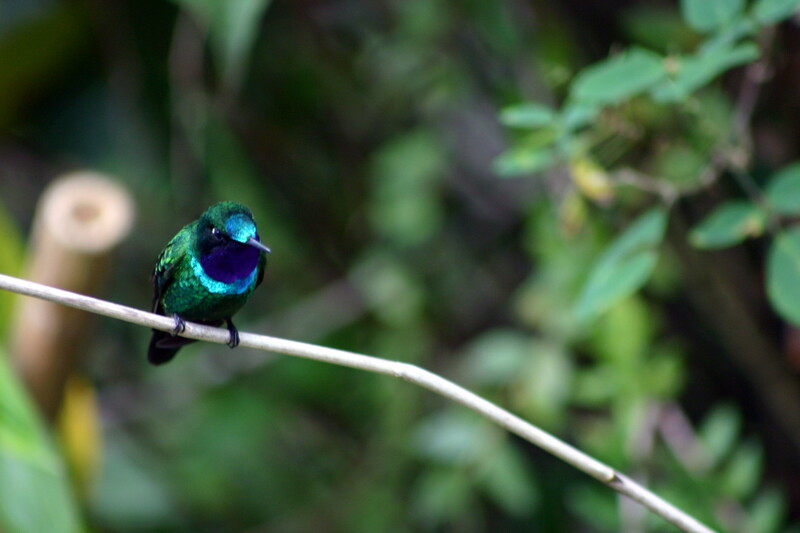 Engulfed by the sounds, sights and smells of the cloud forest, you’ll enjoy the beautiful flora and fauna along the way, which your guide will point out to you. The path crosses small streams and gorges spanned by short bridges. Before you see Gocta, you’ll hear it, and as you advance the volume increases as does the anticipation. With about a third of the way to go, the vegetation opens up, and finally you see the falls. For the rest of the walk the incredible thunderous flow of water is in sight, until you arrive at the base of the falls, stretching your neck into the sun to see the top. At a special vantage point with a view of the waterfalls you’ll take a break and enjoy snacks and a refreshing drink laid out by your guide. After taking in the views, and maybe splashing in the pool at the base of the falls, return via the same path to your hotel. 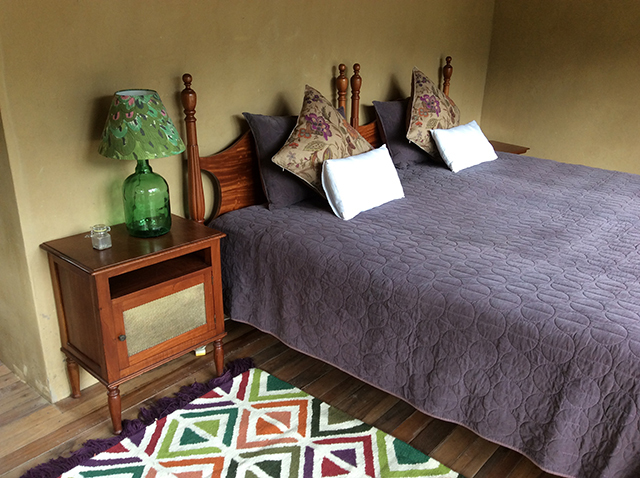 An Aracari representative will meet you at your hotel, for the five hour journey to Jaen airport to fly to Lima.